In Yemen, the long-expected military assault on the port city of Hodeidah began this morning. Hodeida is currently held by the Houthis who control much of northern Yemen. 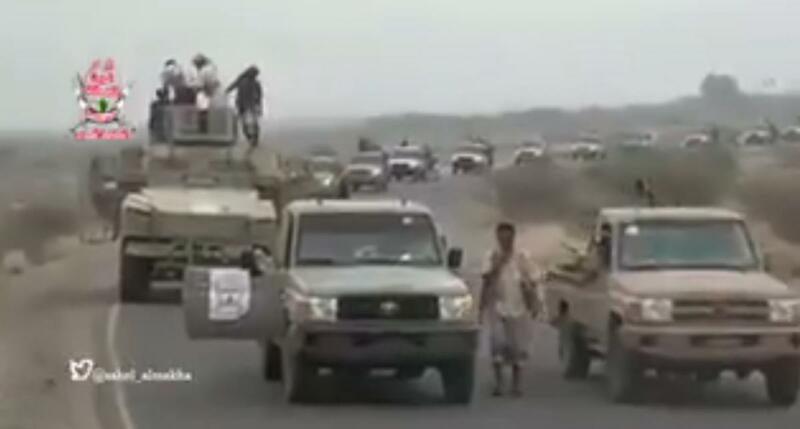 According to local reports it is being attacked from the south by the Amaliqa ("Giants") Brigades – a surviving section of Yemen's national army – with the United Arab Emirates providing air support. Forces loyal to the assassinated ex-president, Ali Abdullah Saleh, are said to be assisting too. The intention behind the attack is to break the current military and political deadlock in the three-year war and shift the balance decisively in favour of the ousted government backed by the Saudi-led coalition. Hodeidah port is seen as the Houthis' economic lifeline, not only for essential supplies but also as a major source of revenue, since they tax goods entering their territory. If deprived of Hodeidah the Houthis will be seriously weakened and forced to the negotiating table – or so the argument goes. Meanwhile, humanitarian organisations have been warning that the effects of a battle over Hodeidah could be catastrophic. One major concern is for the civilian population – it is Yemen's fourth largest city, with around 600,000 inhabitants. Another is that closure of the port would cut the humanitarian supplies that have been keeping starvation at bay in other parts of the country. One uncertainty at the moment is how strongly the Houthis will resist the attack and how much support they will have from the local population. The Houthis are basically mountain fighters and the flat Tihama plain around Hodeidah is not their favoured territory, so they might pull back fairly quickly to positions they feel they can more easily defend, leaving the city relatively unscathed. On the other hand, they may be calculating that a street-by-street battle or a prolonged siege (with the accompnaying humanitarian crisis) would serve them politically by generating international calls for the anti-Houthi forces to halt their advance. The Houthis may also try to create a diversion by firing more rockets into Saudi Arabia, as they have in the past. The rocket attacks have little actual effect but serve as a morale booster on their own side. Assuming the Houthis do eventually lose Hodeidah, it's debatable whether that in itself will bring them to their knees. There would be little effect on their supplies of weaponry since the port has long been blockaded by coalition forces and shipments are checked under UN auspices. The effect of lost revenues from the port is also questionable because they Houthis could still levy taxes on goods entering the territory they control – in other words, the collection points might simply shift further inland. Finally, it's not certain that after losing Hodeidah the Houthis would be more amenable to a political settlement. Some say there are indications that they would, but they are fighters rather than politicians. Between 2004 and 2010 the Saleh regime fought them in six intermittent wars and failed to crush them – so it's possible they will continue to resist even as their territory shrinks. For a more detailed exploration of these issues, see the recent discussion between two Yemen experts, Gregory Johnsen and Fatima Abo Alasrar of the Arabia Foundation. The foundation is reported to have Saudi funding but the discusssion covers key points of the arguments on both sides. On Monday the International Crisis Group published a report warning about the consequences of a destructive battle for Hodeida and looking at possible alternative solutions.